Visit Walkley Historians today in Walkley Carnegie Library as part of the Walkley Festival. We’re here from 11am until 4pm. 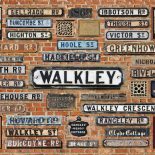 You can find out about our new project – Stories from the Streets – about the Victorian origins of Walkley – and how to get involved. You can also see the Stories from the Streets exhibition in the window of Beeches of Walkley throughout the festival. This entry was posted on June 17, 2017 by Bill Bevan in Uncategorized.